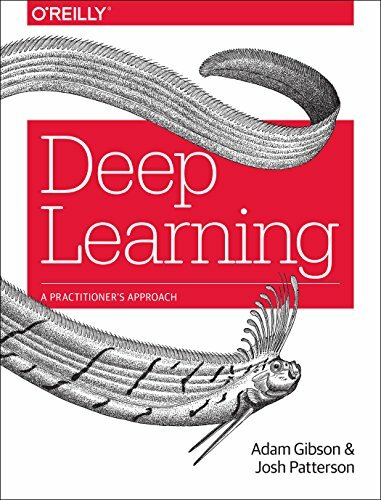 There are not many books on deep learning at the moment because it is such a young area of study. There are a few books available though and some very interesting books in the pipeline that you can purchase by early access. In this post, you will discover the books available right now on deep learning. There is a deep learning textbook that has been under development for a few years called simply Deep Learning. It is being written by top deep learning scientists Ian Goodfellow, Yoshua Bengio and Aaron Courville and includes coverage of all of the main algorithms in the field and even some exercises. I think it will become the staple text to read in the field, primarily because they are giving it away for free (much like The Elements of Statistical Learning is required reading in Machine Learning). A lot of it is complete already and I highly recommend reading it to get some background theory on deep learning algorithms. This is an applied book written by two of the creators of DeepLearning4J: Adam Gibson and Josh Patterson. 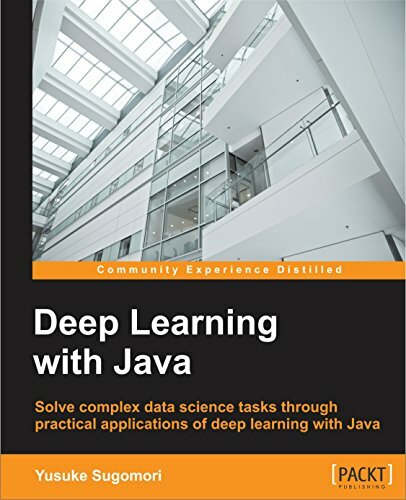 DeepLearning4J (or DL4J) is the Deep Learning framework for Java applications. The book is practical, written for both Java developers and data scientists and I can only assume it provides examples using the DL4J framework. The book is due out in May 2016 and there is currently no table of contents available (that I could find). This is another applied book in Python written by Nikhil Buduma. It covers both deep learning concepts and examples. You can get early access to this book and there are 5 chapters available at the time of writing. I’m excited to get my hands on this book. Packet publishing has a book coming out in May 2016 on Deep Learning written by Yusuke Sugomori titled Deep Learning with Java. It is also targeting Java Developers and Data Scientists and will provide examples using the DeepLearning4J framework. There does not appear to be a table of contents available for this book yet, but I believe you can get early access to it. Timothy Masters has written a number of books on artificial neural networks over the years. In 2015 he wrote two books on Deep Belief Networks using C++ and CUDA. The books provide examples and are primarily focused on his software called DEEP. You can learn more about his software on his webpage. 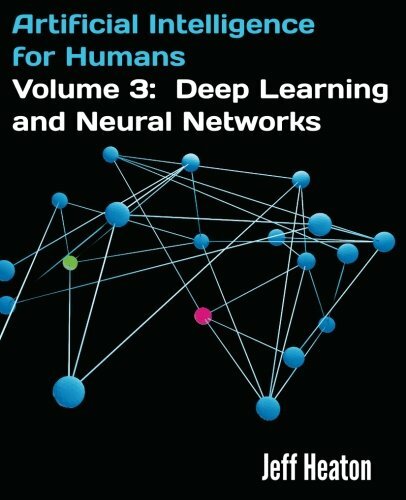 The third book in the series covers artificial neural networks and has a few chapters on deep learning techniques. Generally, Jeff is a good communicator and his books get attention from the community because he used KickStarter in the process to create them. The third part of his series might be a good read if you are looking for an introduction to neural networks and discover where deep learning fits in. N. D. Lewis has a series of books on statistics and machine learning including books on neural networks. 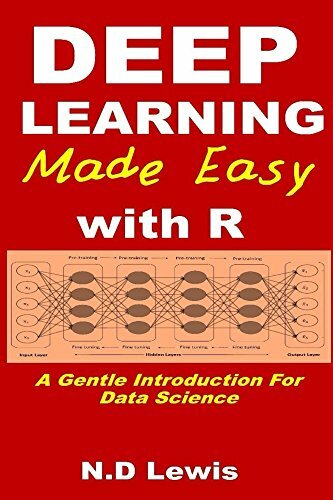 In early 2016 he released a book on Deep Learning in R titled: Deep Learning Made Easy with R: A Gentle Introduction for Data Science.. This section lists addition books that have been released (or are expected to be released) after this post was written. In this post you discover the books that are available right now on deep learning. Have you purchased or read one of these books? Leave a comment and let me know what you think of it. Are there any more books on deep learning that you know are coming or already here? Let me know in the comments. Any particular books that are more helpful to H2O users? Sorry Matt, I have not used H2O. I believe they have their own free mini-book/guide that you might find useful. Note that the Deep Water project is adding TensorFlow, mxnet and Caffe underneath H2O, so stay tuned for a lot more exciting capabilities! Thanks for the links Raymond. I’m just beginning to learn about deep learning and this is exactly what I need, thank you! I’m curious as to your favourite book from the list? The first one sounds very promising. The first book is excellent and the place to start. But it is not for everyone as it is a textbook and more academically focused. 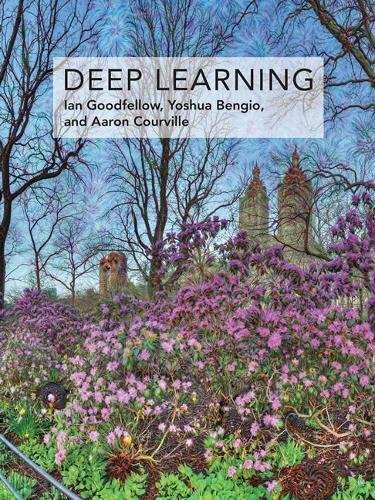 1- Advanced level: “Deep Learning” written by top deep learning scientists Ian Goodfellow, Yoshua Bengio and Aaron Courville. The book includes coverage of all of the main algorithms in the field and can be used as a reference book by those who have experience in the field. 2- Intermediate level: “Neural Networks and Deep Learning” written by Michael Nielsen. The book is a good place to start for those who already have experience in Machine Learning and want to delve into Neural Networks. 3- Beginner level: “FIRST CONTACT WITH TENSORFLOW, get started with Deep Learning programming” written by Jordi Torres. The book is oriented to engineers with only some basic understanding of Machine Learning who want to expand their wisdom in the exciting world of Deep Learning with a hands-on approach that uses TensorFlow. You can add Michael Nielsen’s awesome book to the list. 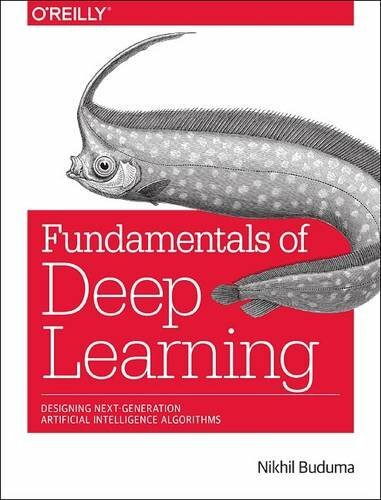 The book’s title is : Neural Networks and Deep Learning. The book is freely accessible online through the author’s web page. HI i want to ask what mathematic fields are required for starting machine learning and deep learning and becoming an expert. Please suggest me all the books needed for mathematics. I teach a top-down and results first approach where we do not start with math, but instead focus on how to build models and make predictions. Hi jason, I want to learn more on caffe2. Are there any resources for learning caffe2 ? Is it better than keras or Dl4j. let me know your views. Sorry, I don’t have material on those libraries.